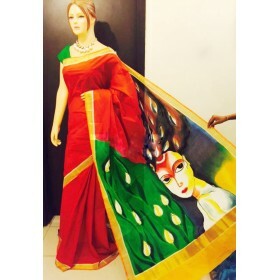 Wear your traditional Kerala saree with a variety appearance of full hand painted with contrasting color combination which makes it grand. 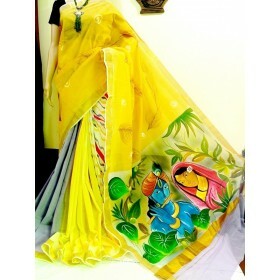 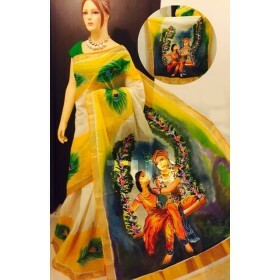 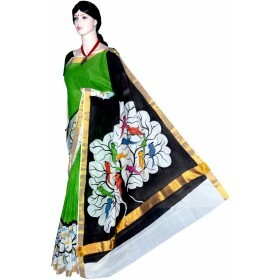 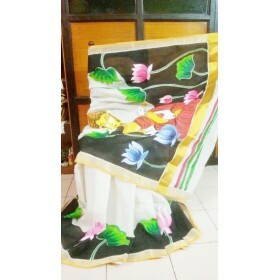 It is a pure cotton handloom kasavu saree with floral hand painted design on pallu and yellow color on the top fleet having floral design on border along with the golden kasavu makes gorgeous. 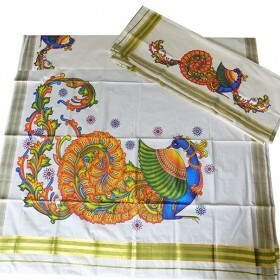 On bottom fleet we have small butta hand painted work and on border floral hand painted design with golden kasavu which gives a simple look. 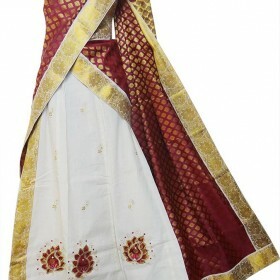 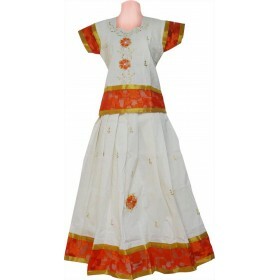 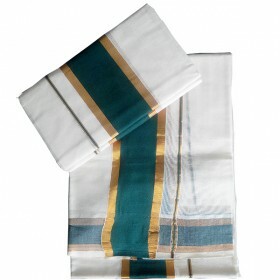 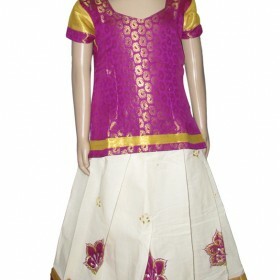 It will be a perfect ethnic wear for any aged one to get everybody’s attraction.